← Yogurt…. And a Recipe Index!!!!! It has really felt like Fall in NYC for the past few days, and with Fall comes heavier, heartier cooking (Not that Summer has ever stopped me from making anything heavy or hearty). This lemon cake really feels like a transitional piece — yes, it is a cake, but it has lemon in it, and what is it about lemon that always makes things taste light and healthy? This is a tweaked Ina Garten recipe that I’ve been dying to make forever, her version calls for more sugar and vegetable oil instead of olive oil. The end result doesn’t really taste like olive oil per se, but it definitely adds an interesting depth of flavor. 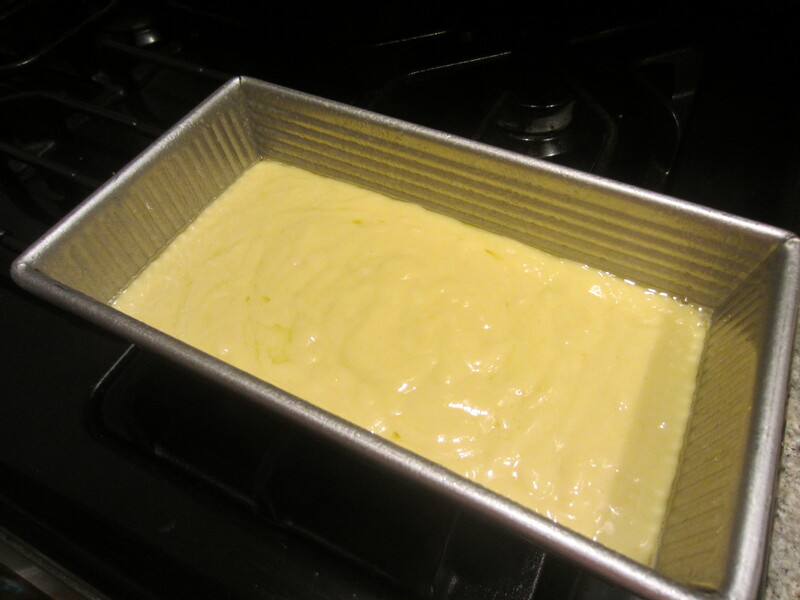 Preheat your oven to 350 F. Grease and flour an 8 1/2 by 4 1/4 by 2 1/2-inch loaf pan. In a second bowl, whisk together 2/3rds of a cup of sugar, the eggs, the lemon zest, and the Fiore di Sicilia (or other extract). Slowly combine the wet and dry ingredients. Then add the olive oil and stir with a rubber spatula until incorporated. 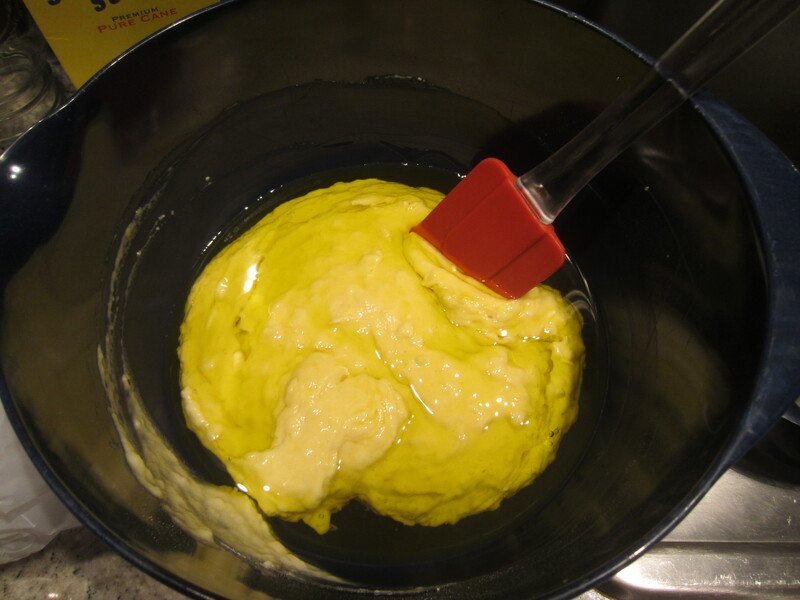 Pour the batter into the loaf pan and bake for 40 minutes, or until a tester comes out clean. Turn it out onto a rack and let it cool for 10 minutes. While it cools, put the lemon juice and remaining 1/3 cup of sugar into a small saucepan, and heat while stirring until the sugar dissolves. 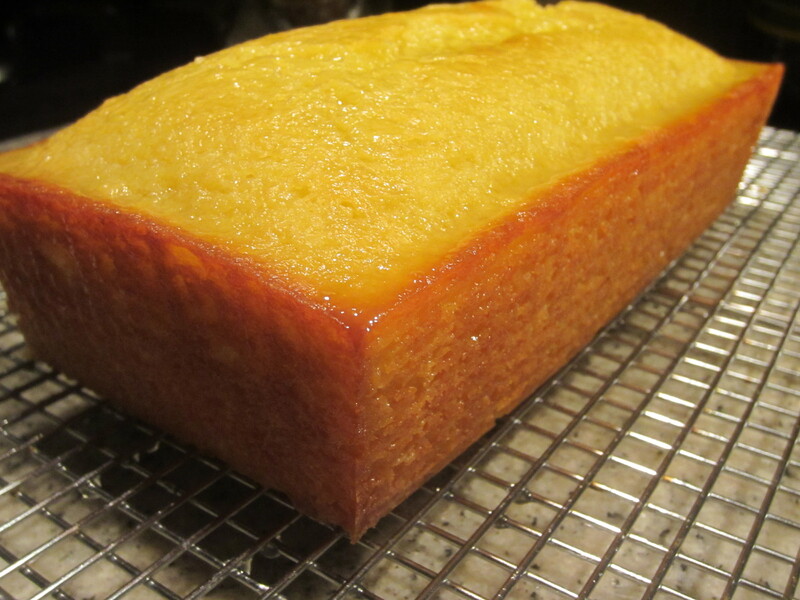 Poke a bunch of tiny holes in the top of the cake and pour the lemon syrup over the top. This entry was posted in Cakes & Pies, Citrus, Lemon, Yogurt and tagged Barefoot Contessa, dessert, Ina Garten, lemon, Lemon Yogurt Olive Oil Cake, olive oil, Ronnybrook, yogurt. Bookmark the permalink.